This is our longest women’s ice climbing program and you will be fully immersed in ice climbing for four straight days. 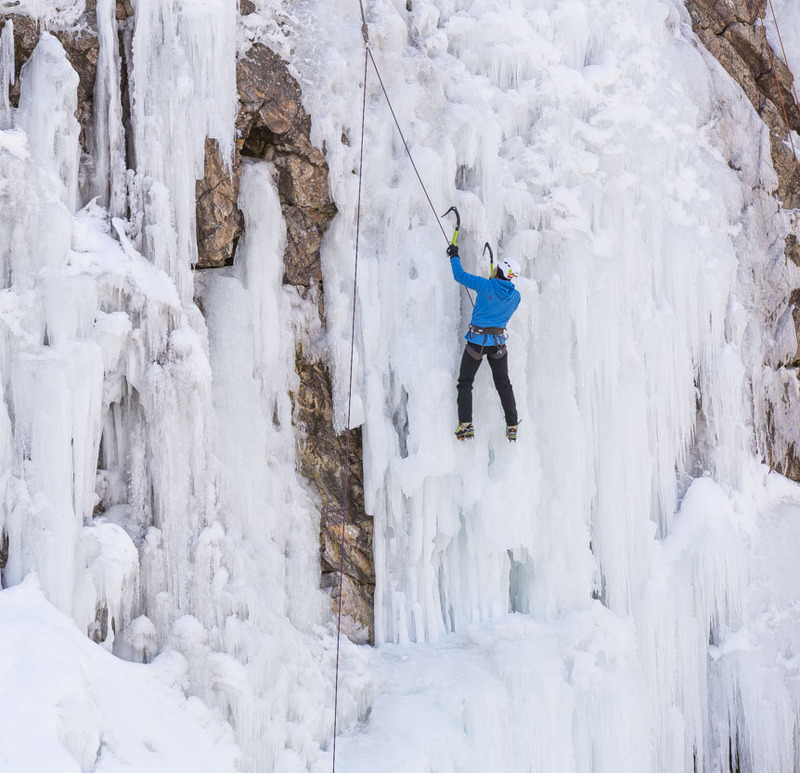 This will give you the time to get your ice climbing fix and broaden your understanding of movement and technical knowledge of ice climbing. You will spend the first two days climbing in the Ice Park learning to refine your swing, kick and body positioning to move efficiently over the ice. The third day of the program is your choice of a skills clinic. The skills day enables you to go in-depth on specific technical skill instruction such as rescue techniques, mixed climbing, steep ice climbing, or alpine skills. That evening will also include a discussion led by Kitty Calhoun, on a variety of topics such as nutrition, injury prevention, and mental training. On the last day, you will put it all together and get lasting pointers that you can continue to work on down the road. You will stay at the popular Ouray Victorian Inn, just a short walk from the Ouray Ice Park. The park is filled with more than 200 routes of all grades. After a great day, enjoy the hot tub at the hotel or natural hot springs in town. In the evenings the group will enjoy a catered meal together at the Secret Garden. This is our complete Chicks experience, don’t miss out. This clinic is open to ALL levels of ice climbing and is appropriate for beginner to advanced climbers. With 5 levels of instruction to choose from, there is something for every woman. The complete chicks experience will help you take your ice climbing to the next level. 4:00 pm: Kick-off meeting/orientation at the Secret Garden, (directions provided). Demo gear handed out at catered group dinner. If you would like alcohol, please bring your own.